It is back to school time! It is so hard to believe. Of course none of us are going back to school, but we are still getting in the mood. MiMi liked to have an after school treat ready for us when we came home from grade school. I imagine I will try to do the same for Jax. This treat is right up our alley. So we will practice having after school treats until the time comes! 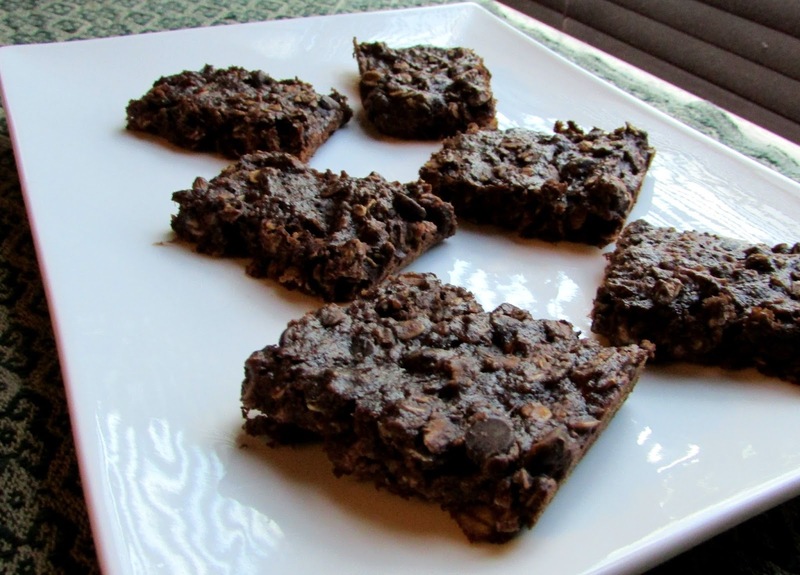 These bars work great when you need a little chocolate and don't want to feel bad about it. You can also freeze individual portions so that the kids can just grab one and heat slightly when they need a little pick me up. (You can do it to, nobody is watching!) They are so full of fudgy flavor. The texture is great too. It is like brownie meats oatmeal cookie. Is that a thing? It is now! In a large bowl, mash the bananas until mostly smooth. 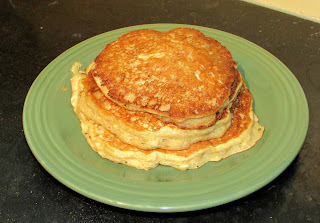 Mix in the oil, peanut butter, sugar, honey, eggs and vanilla. Mix well. 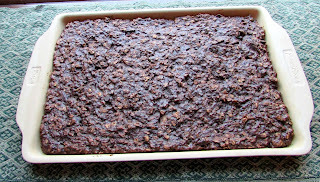 Stir in salt, baking soda, flour, cocoa, oats and chocolate chips until just incorporated. Spread in prepared pan and bake for 30 minutes or until set. Cool completely then slice into bars. If you can't eat them all now, feel free to freeze individual bars and warm slightly as you'd like! These look great! I like the lesser amount of sweetener. Thanks! With all of the ripe bananas, you don't need nearly as much as you would for most bars. We love to have treats, but I like to feel like there is at least some nutrition in them! 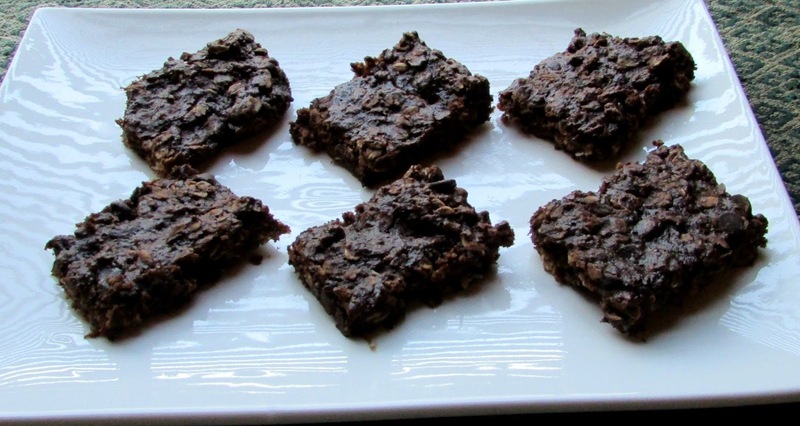 Banana baked chocolate treats are really one of the best things ever. I always make an awesome chocolate banana bread that is so so perfect to have for breakfast, and these bars look like they're going to be next on my to do list for work lunch desserts! :) Thanks so much for sharing! Mmmm. I love banana bread too. I haven't made a chocolate version yet, but will certainly have to! I hope you love these! Oh, yummmmm! Brownie meets oatmeal cookie?? YES, please!! I'll be in heaven when I make these! But will sub other flour for wheat, since I'm GF. Hope that doesn't mess them up. I can't imagine it would mess them up. I hope you love them! Thanks for stopping by. Oooo bananas, chocolate AND peanut butter?! YUM. My husband would love these! I know, the big three! I hope he does! We love bananas at our house (and chocolate, of course). I might have to try these sometime! We love both also. We have been on a banana baking streak all year. I hope you love them! Oh Yummy!! Thanks for sharing on My 2 Favorite Things on Thursday!! Hope to see you again this week! Pinned! Healthier, but still plenty decadent! Thanks for stopping by! Yum! I love chocolate with banana! Thanks for sharing with us at the Merry Monday link party. I hope you'll join us again next week. Sharing your post on Twitter! I love the taste of chocolate and bananas together. 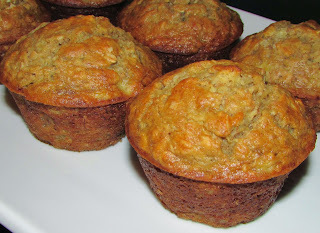 Thanks for sharing your recipe at the #AnythingGoes Link Party. This looks way too good to be healthy! Thank you so much for linking up at Tasty Tuesday! This post has been pinned on the Tasty Tuesday Pinterest board! I love having you and can't wait to see you next week! But it really is! Thank you so much for hosting!